+1: Introduction to WRITE 31 Days "The Art Of Change"
+2: Weekly Challenge: Grab a journal. 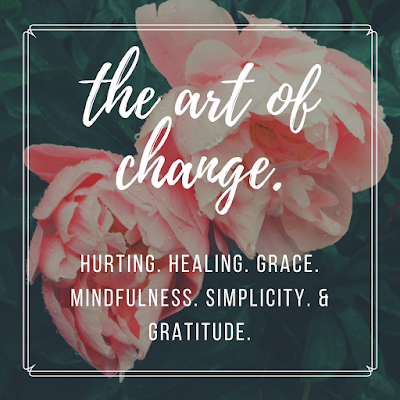 +3: The Art of Change: A Perspective on Hurting & Healing. +6: The Journey of Healing Pt. 1. +7: The Journey of Healing Pt. 2. +8: The Art of Grace. +9: Definition of Grace + Weekly Challenge. +10: The Manifestation of Grace. +13: Finding Rest in Grace. +19: Finding Rest in Reflection. +20: When Reflection Demands Change. +21: Change: Catalyst for Simplicity. 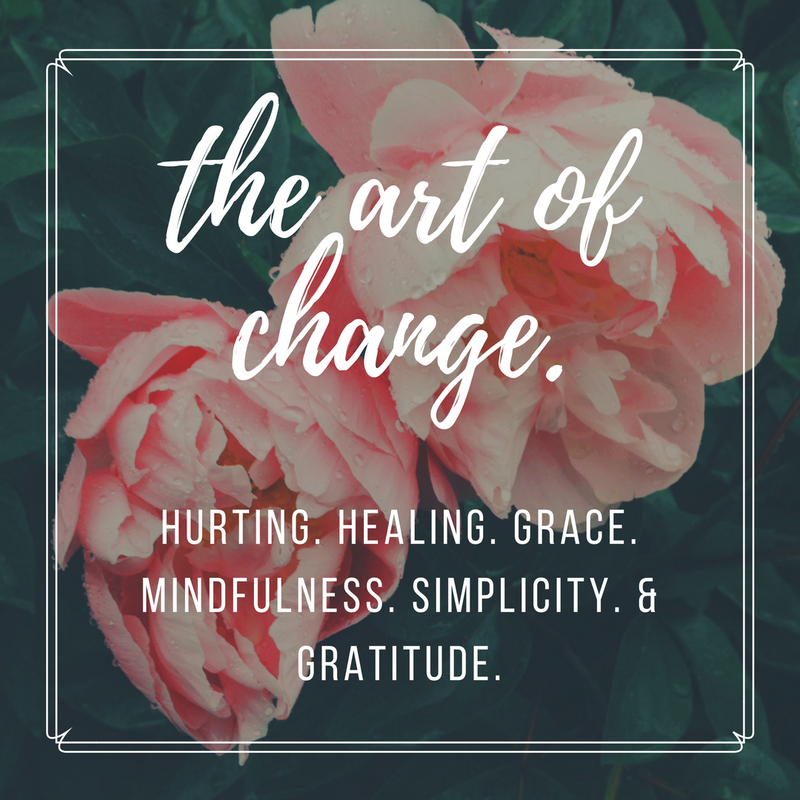 +22: The Art of Change: Simplicity. +23: Simplicity + Weekly Challenge. +27: Finding Rest in Simplicity.